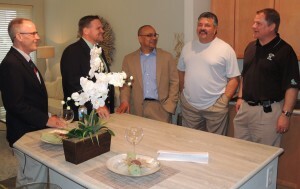 The 100 percent union-built Cortona at Forest Park hosted an open house last week to mark completion – and full rental – of the five-story 278-unit apartment complex and the hundreds of good paying union construction jobs it generated. The $42 million development – the first of its kind to address the unique lifestyle preferences of Generation Y – was made possible through union investments and labor-management cooperation aimed at reinvesting in St. Louis and creating jobs. St. Louis-based developer Balke Brown Transwestern, Washington D.C.-based AFL-CIO Building Investment Trust (BIT), the St. Louis Building and Construction Trades Council, AFL-CIO and the construction labor-management cooperative PRIDE of St. Louis, united to make the first-of-its-genre Cortona a reality. 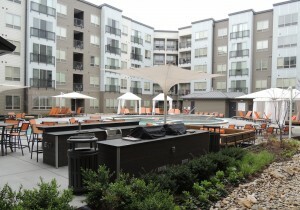 AFL-CIO BIT provided equity capital for the project, plowing union pension funds back into the community to create Balke Brown’s new Euro-style living concept. “We do projects like this all over the country,” AFL-CIO BIT Chief of Staff William Little said the job-creating investment. 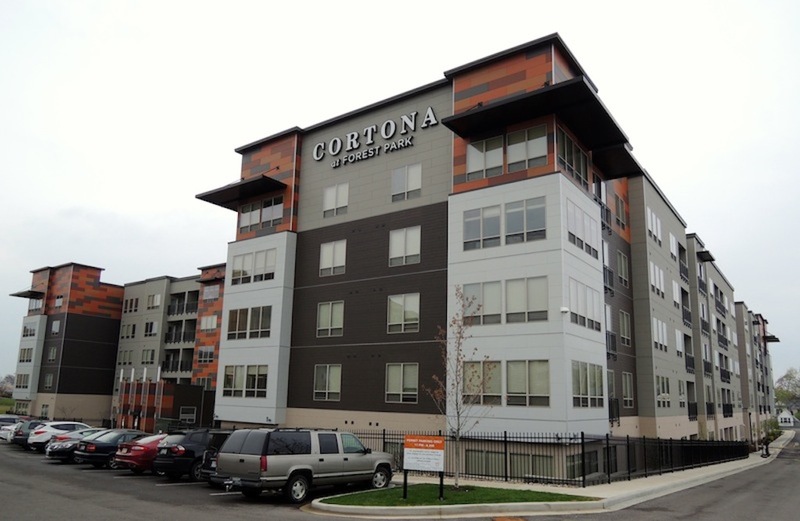 The Cortona represents the seventh BIT real estate investment in St. Louis. BIT has invested $5.8 billion to finance 36 million square feet of commercial real estate and over 15,000 apartment units over the past 26 years, creating approximately 70 million hours of union construction work, and thousands of union jobs in the maintenance and operation of BIT properties, showing a 7.71 percent on its investments since 1988. “We outperform Wall St.,” Little said. “We’re proud of that. It proves the ‘union’ premise” that building union is expensive “is a myth.” The performance of our investments “proves you can have solid labor policies” of using union labor for construction “and beat the big boys” in returns. “St. Louis has two great things: great baseball and successful BIT investments,” said Kevin McCarthy, president of PNC Realty Investors, which provides real estate investment advisory, management and administrative support services to PNC Bank in connection with the BIT. “All our projects are built with skilled union labor and St. Louis has the best of the best,” McCarthy said. The BIT’s first multi-family project, the Cortona feels less like an apartment complex and more like a fine hotel, with bright, modern one- and two-bedroom apartments built around dynamic social spaces controlled access, 24-hour emergency maintenance, free Wi-Fi in public areas, free bike storage, a self-service pet spa and leash-free dog park. 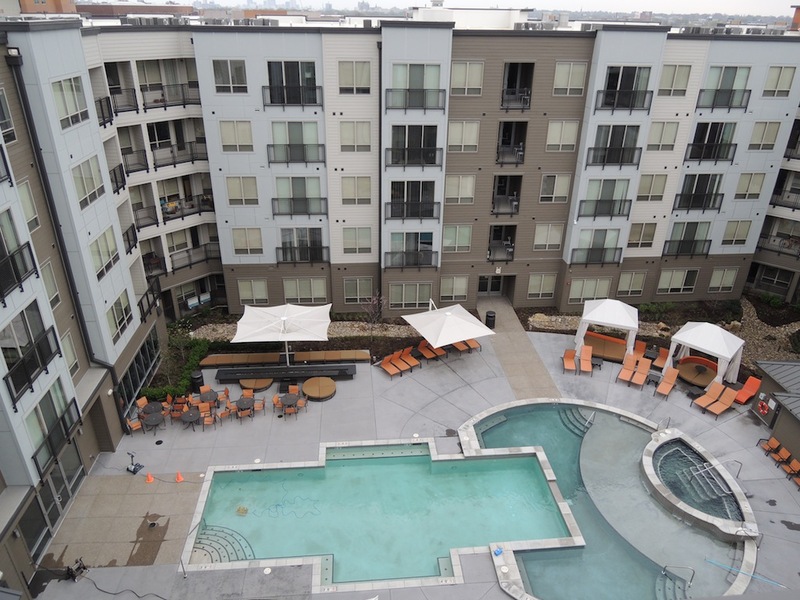 The courtyard features a three-tiered lap pool, tanning ledge and hot tub, outdoor grills and bar, private cabanas, community fire pits, poolside Wi-Fi and social lookout lounges. 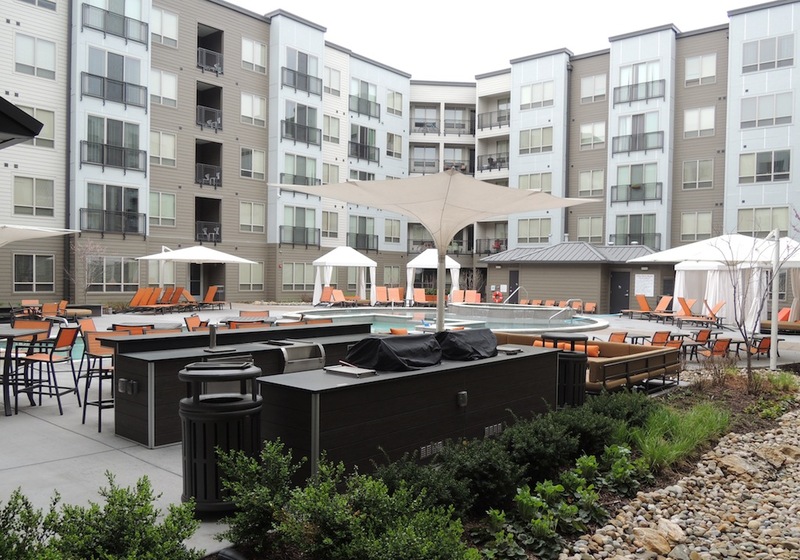 The ground floor clubhouse includes a fully equipped fitness center, on-site fitness classes, a self-service coffee bar, pool table and shuffleboard and a business center with computers and a printer. The union craftsmanship and amenities paid off. 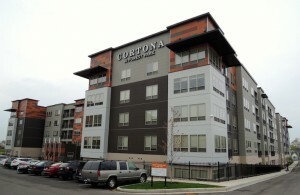 The Cortona was fully rented within 10 months and has a waiting list of would-be residents waiting for an opportunity to move in. “The craftsmanship here is unbelievable,” White said. “Growing up in St. Louis, to see craftsmanship like this is wonderful. I’ll put our building trades guys up against any workers in the U.S. The AFL-CIO BIT is an open-ended, commingled group trust, operating with one of the most comprehensive union labor policies in the U.S. real estate industry, helping to create union jobs throughout the country. The BIT is managed by PNC Bank, National Association (PNC Bank), as Trustee. PNC Realty Investors (PRI) provides investment advisory services. Since beginning operations in 1988, the BIT has invested $5.5 billion for the development and acquisition of more than 180 office, retail, multifamily, hotel, warehouse and mixed-use properties across the country, creating 68 million hours of union construction work and thousands of permanent jobs in the service, maintenance and operations of its facilities. As of June 2014, the BIT had a net asset value of $3.15 billion and a portfolio of 53 properties across the United States.